A new arc for Back To The Future – My thoughts! Starting off a new arc, we get an introduction – this time it’s a new member of the McFly family. Marty has an uncle who went to jail before all his adventures to come. Marty was only little at the time, but by all accounts they were close. Without knowing what his uncle had done, we get a good montage of Marty looking into it with his family – uncles, grandparents, aunts – and then even the police and teachers. It’s a really good storytelling technique. Marty tries to get advice from Doc Brown – and it seems there is a connection between the Doc and Joey – this is interesting. 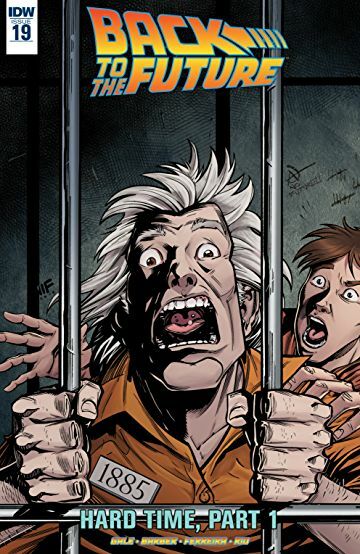 Finally Marty discovers what it was his uncle was put in jail for – and he also makes some extra, more interesting discoveries!